Discussions of security assistance often focus on funding and technical assistance from wealthy countries. However, this overlooks a growing pattern of intra-African assistance in areas such as governance, revenue management, military professionalism, and peacekeeping, among others. A significant amount of this has been directed toward stabilization efforts in fellow African countries. African countries have become more active in rebuilding security sectors in the past decade. Between 2005 and 2014, for instance, the Nigerian military provided significant technical support in remodeling the Armed Forces of Liberia (AFL). This force had splintered into factions and ultimately collapsed amid the chaos and violence of a brutal 14-year civil war. As part of a sustained and internationally backed reform package, the Liberian government in 2007 installed a Nigerian general as Commander in Charge and Chief of Staff of the newly reconstituted AFL. Over the next seven years, Nigerian officers assisted in recruiting and mentoring new soldiers and officers, building new army units, establishing command and control, and instituting new guidelines for training and operational doctrine. Nigeria’s heavy involvement in Liberia’s recovery formed the basis for future cooperation between the two countries. In August 2016, the Nigerian government approved a Liberian request for the continuation of a multi-year training package for noncommissioned, junior, and senior AFL officers at the Nigerian Command and Staff College, Nigerian Defense University, and other military schools across the country. The agreement also approved a second phase of training for Liberian pilots at Nigeria’s aviation college and committed Nigeria to assist Liberia in military logistics. 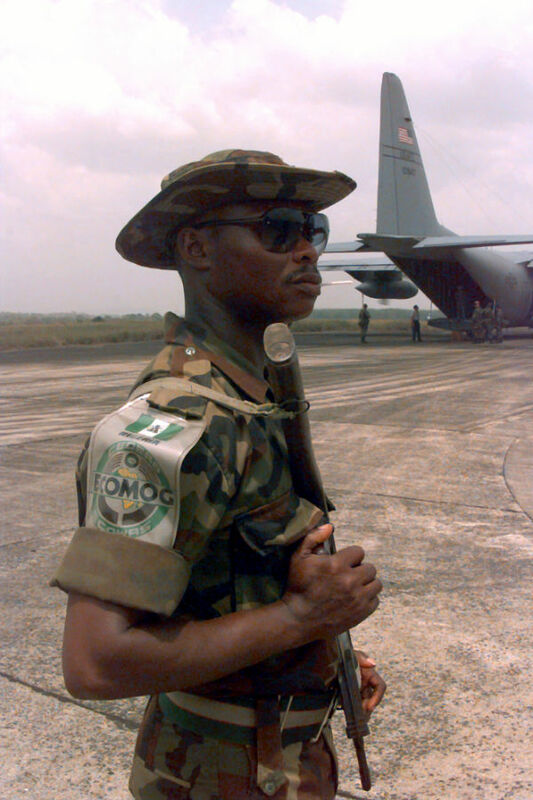 A Nigerian member of the Economic Community Military Observation Group (ECOMOG) at Roberts International Airport in Liberia. Burundi is another case that shows the role that regional technical assistance can play in military reform and defense institution building. This process was championed by former South African presidents Nelson Mandela and Thabo Mbeki, who mediated peace talks among warring Burundian factions between December 1999 and May 2008 resulting in the Arusha Accords. Military reform was a major focus of the effort, given the lack of ethnic balance in the military and the low levels of trust between it and citizens. The South African military, drawing on its own experience in disbanding apartheid-era security elements and building a new and integrated defense force, provided hands-on expertise in disarming, demobilizing, and reintegrating ex-combatants. This effort was expanded through the South Africa-led African Union Mission to Burundi (AMIB), the AU’s first multidimensional peace operation, which involved troops from South Africa, Ethiopia, and Mozambique and military observers from Burkina Faso, Gabon, Mali, Togo, and Tunisia. AMIB’s technical assistance in rebuilding and integrating the Burundian military continued through the the United Nations Mission in Burundi (ONUB), involving additional African troop contributing countries, including Chad, Egypt, The Gambia, Ghana, Guinea, Kenya, Malawi, Niger, Nigeria, and Zambia. In addition, a separate African Union Specialist Task Force (AUSTF) was stationed in Bujumbura as a focal point for technical assistance. Many of these efforts fed into the the Security Sector Development Program (SSD) established by the Netherlands and the Burundian government in 2009. This program relied almost exclusively on African input and experience. Senegalese experts, for instance, helped establish parliamentary oversight mechanisms and, when called on, were paired with Burundian counterparts to facilitate lessons in both directions. The African experience in the Burundi process catalyzed continental efforts to institutionalize technical assistance. In 2013, the South African parliament passed a bill establishing the South African Development Partnership Agency to replace the African Renaissance Fund as the primary tool for the provision of technical assistance, including security assistance, to other African countries. 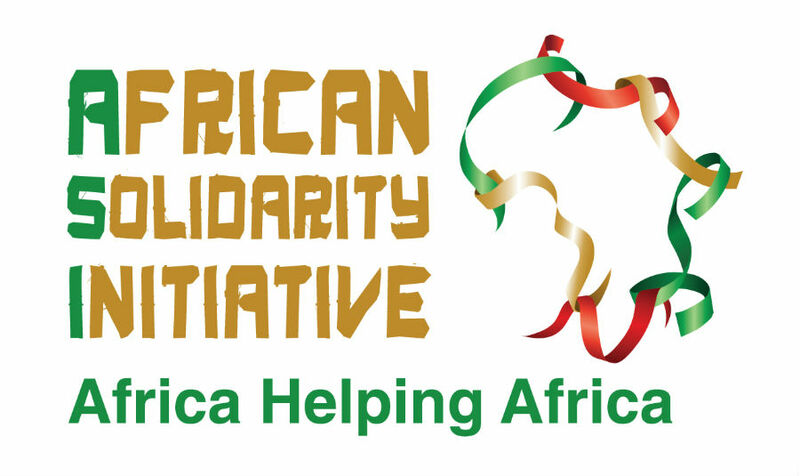 Similarly, the African Union in 2014 established the African Solidarity Initiative as a special facility to mobilize and make African technical expertise available to countries recovering from conflict. Providing assistance for critical governance functions is a major focus of multilateral African efforts in crisis management and stabilization. The instrument that created the African Solidarity Initiative provides policy guidance for this type of assistance. The 2015 African Union Civilian Standby Capability (ASC) further formalized African efforts to mobilize and deploy civilian experts to AU missions on short- and long-term assignments to support governance, rule of law, and civilian policing, among other areas. To assist South Sudanese recovery efforts, the Intergovernmental Authority on Development (IGAD) established the African Regional Capacity Enhancement Initiative (RCEI), a pool of African specialists in a wide range of governance specialties. Through it, more than 200 mid-ranking and senior civil servants from across the IGAD region were deployed to South Sudan’s state and local administrations on long-term contracts to provide hands-on technical assistance in establishing and running local governments. The African Development Bank provided additional funding to take the RCEI initiative to scale given the huge gaps in governance capacity. With these additional resources, more expertise was brought in through the Kenya School of Government, Uganda Management Institute, and Zimbabwe’s Institute of Training and Development, among other institutions. The Kenya School of Government trained 820 local government leaders and opened a special campus in Juba to train South Sudanese to take over their own training. The African Development Bank trained a further 1,024 state and local government staff through a direct training assistance program. In Somalia, the South African government channels technical assistance in governance through the African Center for the Constructive Resolution of Disputes (ACCORD), a former beneficiary of the African Renaissance Fund. Established in 2013, this initiative worked with the Somali Federal Government to develop six priority areas for recovery: safety and security, reconciliation, economic recovery, governance, rule of law, and amicable regional relations. Support for each priority area is delivered through coaching and mentoring, policy development, training, institutional exchange programs with other African countries, and research. Indigenous African expertise in civilian and military peacekeeping training and capacity has grown significantly in recent years. In 2001, six civil society organizations pooled their efforts to form the African Peace Support Trainers Association (APSTA) as a resource for African peacekeeping best practices. With the inauguration of the African Union in 2002, the APSTA members were formally recognized as “centers of peacekeeping excellence” working on policy development, doctrine, training, and capacity building in peacekeeping at the AU level among troop contributing countries and potential troop contributors, and in the area of civilian expertise. The association currently has 17 members drawn from civil society and government, among them the Institute for Security Studies of South Africa, Kofi Annan Peacekeeping Training Center, International Peace Support Training Center at the Kenya Defense Staff College, Mali Peacekeeping School Alioune Blondin Beye, Cairo Regional Center for Training on Conflict Resolution and Peacekeeping in Africa, Nigeria Army Peacekeeping Training Center, and Rwanda Peace Academy at the Rwanda Ministry of Defense. APSTA members have played a major role in developing African peacekeeping capacity. ACCORD developed the AU’s policy on the civilian dimension of the Africa Standby Force and caters to the training needs of key missions such as the African Union Mission to Somalia (AMISOM), which it provides with pre-deployment, in-mission, and post-mission training. The Kofi Annan Center plays a similar role among troop contributing countries in the Economic Community of West African States region, while the Rwanda Peace Academy is leading the process of developing Rwanda’s capacity to participate effectively in civilian and military peacekeeping missions. The political will and ability to provide expertise in range of core functions from military professionalism to peacekeeping and governance are growing. African countries and institutions are increasingly developing niche areas of competence across a range of contexts. There is a growing trend to institutionalize intra-African security assistance. Strong intra-African initiatives in each of the cases discussed have facilitated greater harmonization of efforts with international partners. Daniel Hampton, “Creating Sustainable Peacekeeping Capability in Africa,” Africa Center for Strategic Studies, Africa Security Brief No. 27, April 2014. Nicole Ball, “Lessons from Burundi’s Security Sector Reform Process,” Africa Center for Strategic Studies, Africa Security Brief No. 29, November 2014. Cheryl Hendricks and Amanda Lucey, “South Africa and South Sudan: Lessons for Post Conflict Development and Peacebuilding Partnerships,” Institute for Security Studies, Policy Brief No. 49, December 2013. Kristina Bentley and Roger Southall, “An African Peace Process: Mandela, South Africa and Burundi,” Human Sciences Research Council, 2005. African Center for the Constructive Resolution of Disputes, “South Africa’s Peacekeeping Role in Burundi: Challenges and Opportunities for Future Peace Missions,” Special Report, 2007.